The ruling Chinese Communist Party has banned major online news portals from engaging in independent journalism, as part of an ongoing campaign to ensure that only its version of the news gets published. The government’s powerful Cyberspace Administration has “criticized in the strongest terms” major news portals Sina, Sohu, Netease, and Phoenix, ordering them to shut down areas of their sites that feature original reporting, official media reported. The companies had “seriously violated” internet regulations by carrying large amounts of news content obtained through original reporting, causing “huge negative effects” on society, according to a report carried by a number of official sites, including the Beijing News. The portals will in future be restricted to carrying syndicated news that has been approved by the government, the reports said. The Cyberspace Administration has launched a nationwide crackdown on websites that spread “fake” or “substandard” news in recent months, handing out fines and reprimands to website owners whose content doesn’t comply with its rules, according to its official website. “Our offices in Beijing, Shanghai, Jiangsu, Hunan, and other places have reported speaking to Sina, Netease, Phoenix, and China.com about their posting of fake news,” the agency said in its second quarterly report on the crackdown. “Warnings and fines were issued to the websites concerned,” the report said. A regulatory official told the Beijing News that the portals had been in breach of the “Regulations on the provision of online news,” clause 16. “The majority of their stories were the result of their own reporting activities, which is a serious violation of those rules,” the paper quoted an unnamed official as saying. A Beijing-based internet user who goes by the online nickname Wuti said many Chinese who wish to look beyond the complex system of blocks, filters, and human censorship known as the Great Firewall now use circumvention tools to read news from outside the country. But he said the government’s online information war could yield results in the longer term. “Eventually, they will succeed in eroding people’s critical faculties, and the general level of knowledge among the general public,” Wuti said. “This will be a long process, and it’s already in place, which is pretty serious,” he said. “We won’t see the effects immediately. Independent writer Wang Jinbo said the concept of original reporting by news websites is anathema to the authorities. But he said a lack of diversity in news provision is the opposite of progress. Earlier this month, the Cyberspace Administration banned news from unofficial sources, including social media, from appearing as online news. Websites and mobile content providers wishing to use social media as a source for stories must first independently verify the contents of the posts or tweets, the country’s powerful Cyberspace Administration said in a statement on its website. Media outlets must provide true, objective, and impartial coverage by improving news production procedures and internal checking mechanisms, it said. The administration has already sanctioned some major news portals after accusing them of “fabricating” stories this year, it warned, citing sina.com, ifeng. 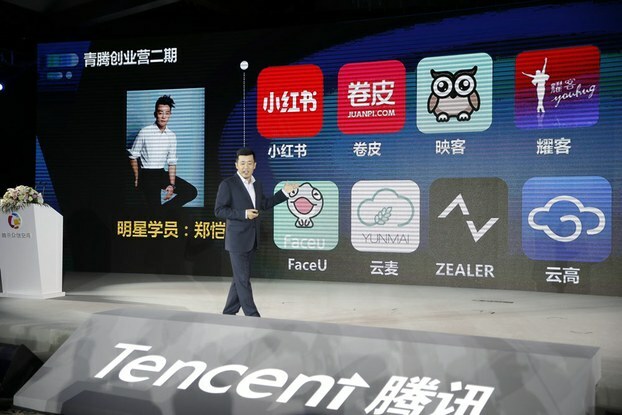 com, 163.com, and Tencent as examples. Reported by Hai Nan for RFA’s Cantonese Service. Translated and written in English by Luisetta Mudie. This entry was posted in Internet Freedom, Press Freedom and tagged and Phoenix, censorship, Media, Netease, Sina, Sohu. Bookmark the permalink.